Irish quartet Wild Youth consist of David Whelan (vocals, guitar), Conor O’Donohoe (keyboard, vocals), Ed Porter (guitar, vocals) and Callum McAdam (drums). Best friends since childhood, Conor and David have always been making music together but it wasn’t until they met Callum and Ed in early 2016 that Wild Youth was born. Aware of each other from many years playing in a number of bands, they were eventually drawn together by a mutual love of rock and pop in equal measures. Wild Youth released their debut single “All or Nothing” to critical acclaim. The track was featured on a variety of Spotify playlists and earned over 200,000 streams. The song was also successful on radio, added to the playlists of all three national stations in Ireland, support from XFM (UK) and on KROQ Los Angeles. 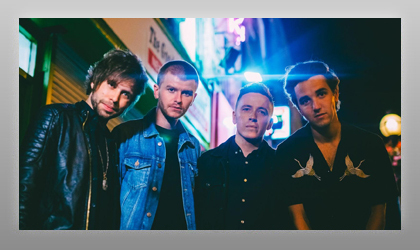 The four-piece have supported the likes of Niall Horan, JP Cooper and Picture This, performed at a number of Irish festivals and played their first headline show in Dublin at The Grand Social in September.